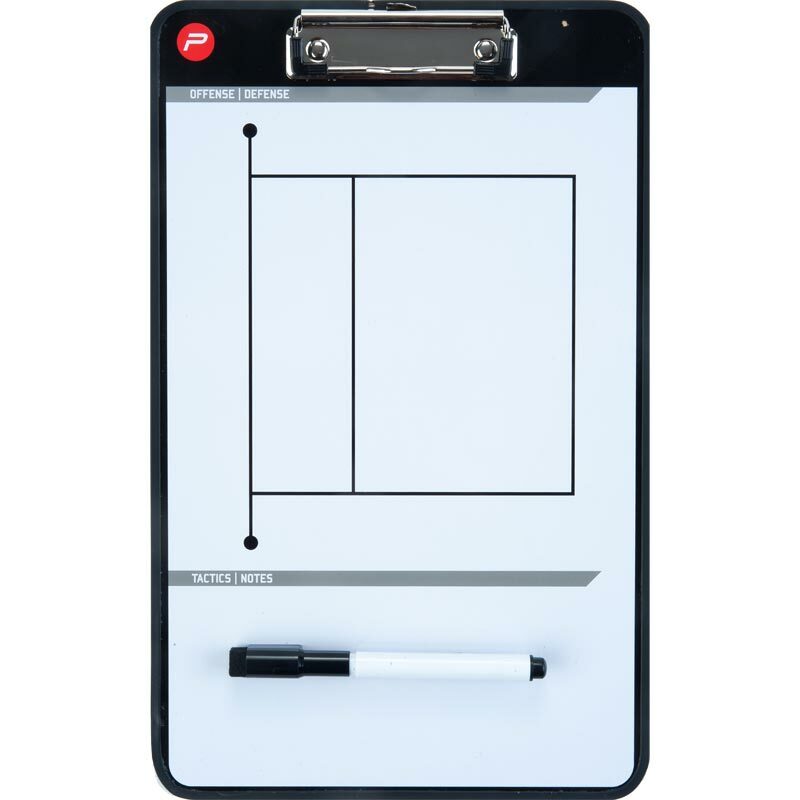 The Pure2Improve Volleyball Coach Board is a double-sided, magnetic board to align your team and track your stats. 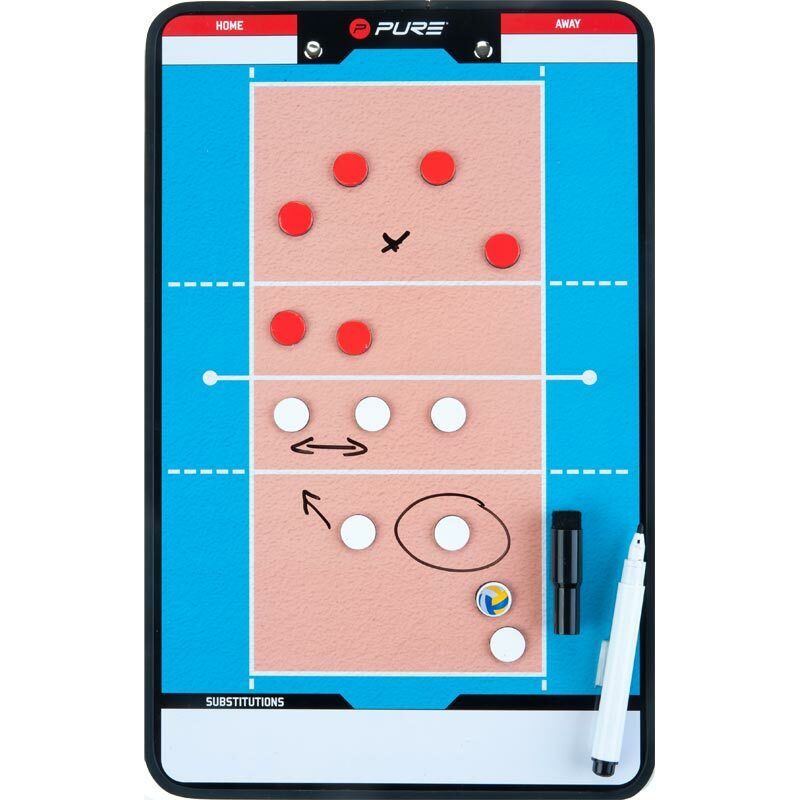 One side features a full court/field for diagramming plays, while the other size allows you to set up plays using the white and red round magnets. Allows you to track fouls, timeouts and match ups. 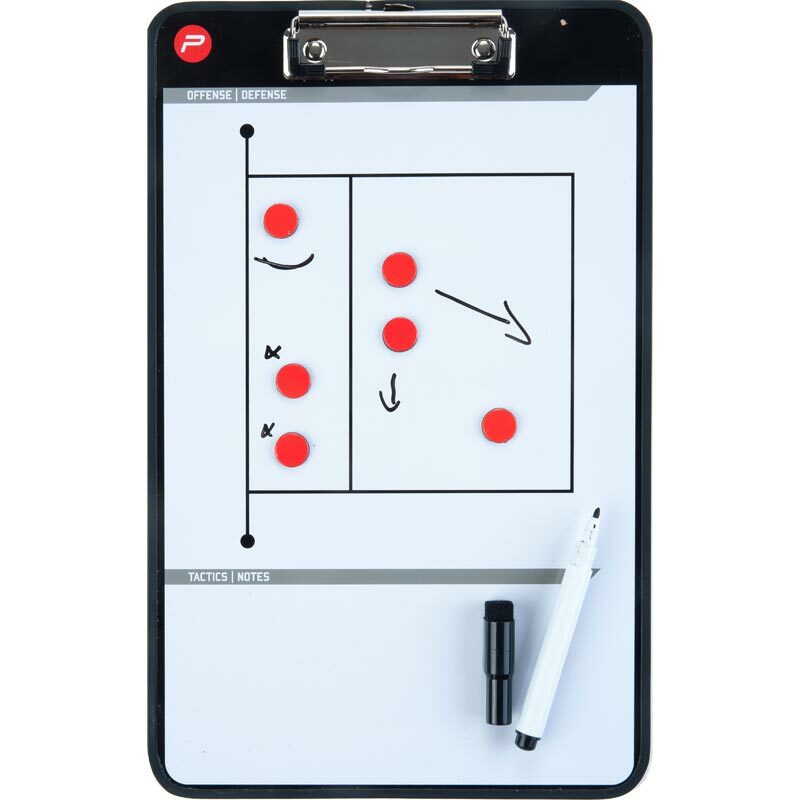 Includes a whiteboard-marker and magnets.